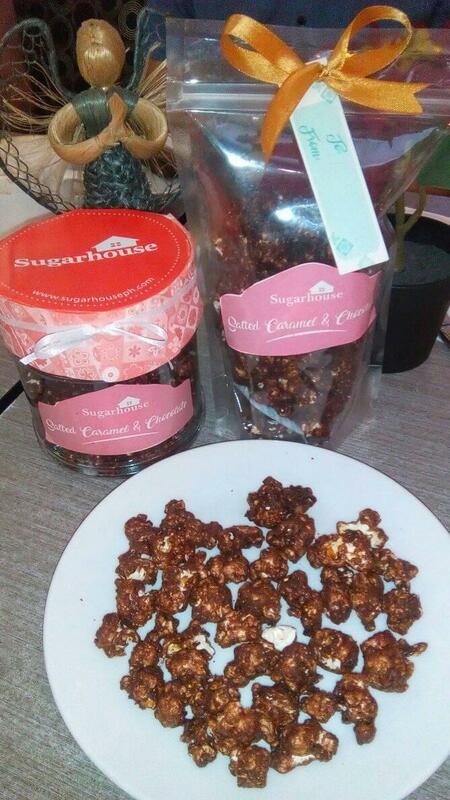 I'm the early bird so I get a change to try the newest product of Sugar House which are the Polvoron, Salted Caramel & Chocolate Popcorn and Leche Flan which is to die for. 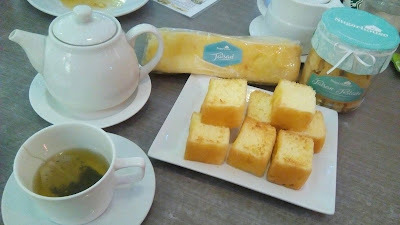 They offered me a drink and I choose Green Tea with Lemon. 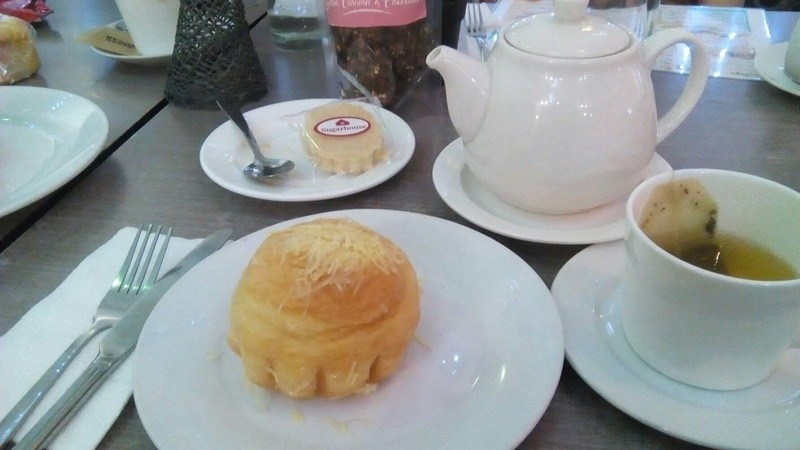 I intentionally choose it because its perfect with pastries. 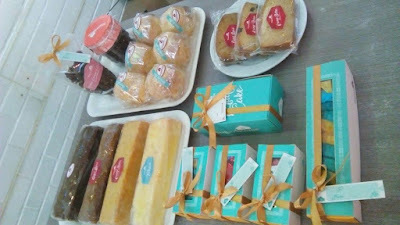 They also served, Ensaimada - Quezo de Bola, different kinds of loaves such as Taisan, Banana, Orange Butter and Carrot loaf. and Fruit Cake. 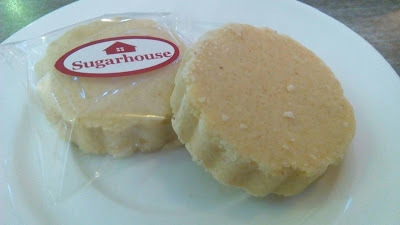 During the food tasting, I met the owner of Sugar House, Ms. Pebbles Santos. She told us that Sugar House is already 25 years in the business. Most of the products they have are from the original recipe of their family. However, the Popcorn has a different story. Among the all pastries, loaves and breads that they served. 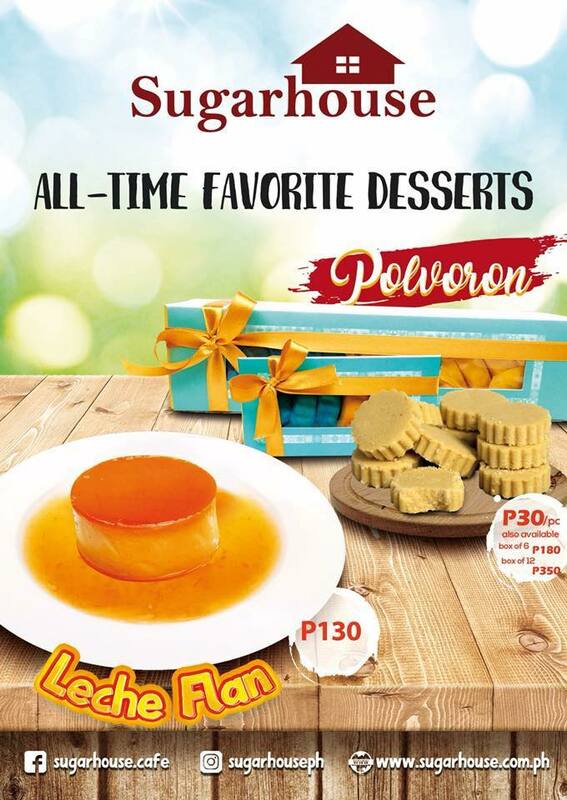 The most and the best product that I will keep on coming back in them are the Leche Flan, Taisan Loaf and the Ensaimada Quezo de Bola. 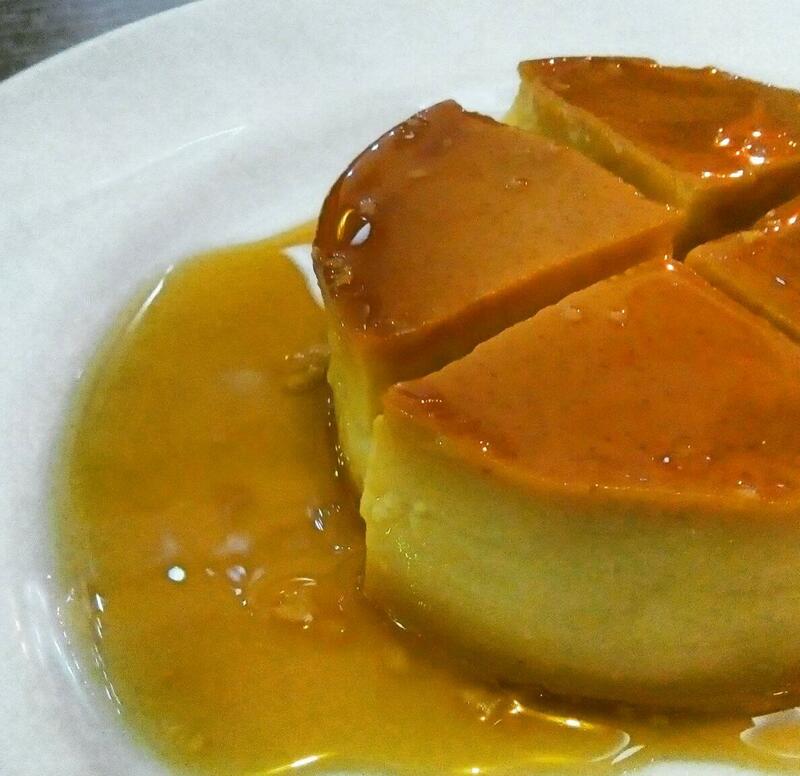 The rich and creamy Leche Flan is so heavenly, it melts on your mouth and your brain will tell you not to stop eating it. The Taisan Loaf is perfectto partner with Tea or Coffee, too bad I wasn't able to try the tostado one but I'm sure its also tasty. Lastly, the Ensaimada which is one of my favorite ever since. I don't but find that any kind of Ensaimada are yummy. For bulk orders, please place your order at least three (3) days in advance to ensure availability of the product. For inquiries, you may contact the nearest Sugar House near you. They have branches at the following mall: Santolan Town Plaza, Dela Rosa Carpark 1, Greenhills, Glorietta, SM San Lazaro, SM Megamall and POwer Plant Mall Rockwell. 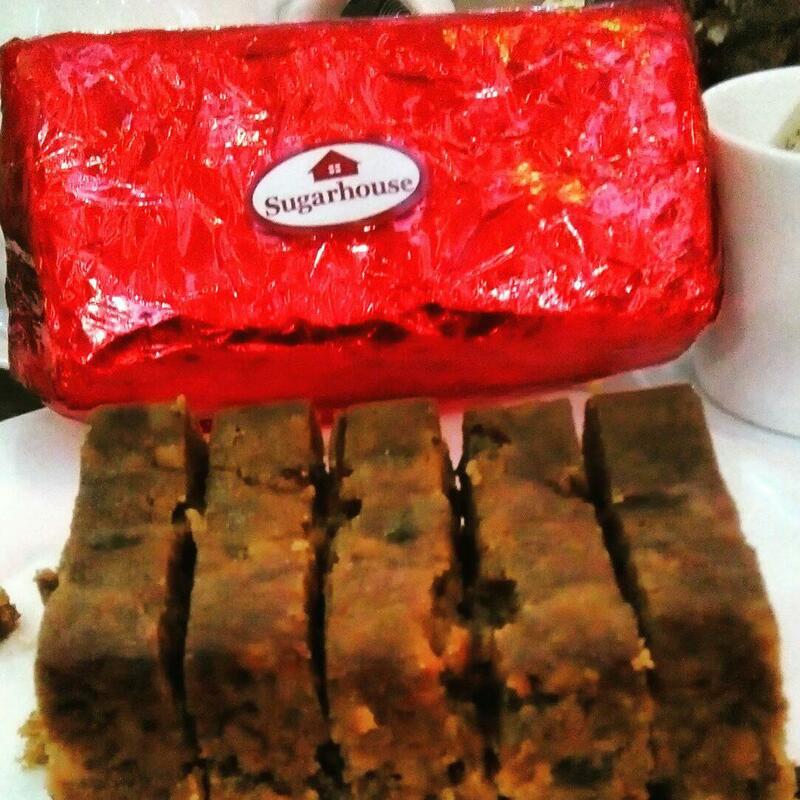 Follow them in their socials at FB/sugarhouse.cafe and ilovesugarhouse on Instagram.